With Video Advertising experiencing massive growth of 63% in 2014, Video is truly a brand’s best friend for engaging hard to reach audiences. IAB Ireland / Nielsen research from December 2014 showed that 1 in 4 of Video On Demand (VOD) viewers watch daily – this figure rises to 1 in 2 among 16-24 year olds. 2 in 3 watch for 1+ hours per day. We know from the research that VOD delivers on hard to reach audiences and complements TV. 1 in 3 VOD viewers claim to watch more VOD than TV. Graham Moysey, Head of International, AOL As head of AOL International, Graham Moysey oversees all international businesses for AOL, including AOL’s premium properties and AOL Platforms. Graham joined AOL in 2010 where he first served as general manager for AOL Canada and later served as Head of International AOL Brands prior to taking leadership of AOL International across all lines of its business.Prior to joining the AOL team, Graham served as SVP and General Manager of Digital Media at Canwest Global Communications where he was responsible for all revenue, product and digital strategies. Prior to his time at Canwest, he was the VP of Sales and Business Development for Sympatico.MSN. An industry veteran of over sixteen years, Graham serves on the national board of the Canadian Marketing Association. Kate joined the Twitter Dublin team in 2012. As a Senior Account Manager she has helped create and grow Twitter’s UK & Ireland Agency Sales Team, with a key focus on delivering exceptional service and results. Her previous positions in the world of TV and Digital Video at Carat, ZenithOptimedia and Sky Media have lead her to develop a TV & Video Guru role at Twitter. Follow her on Twitter at @KateSugrue. 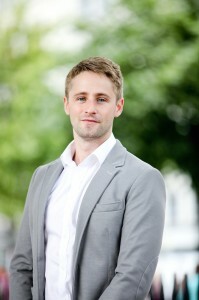 Prior to joining Google almost6 years ago, Eoghan taught business and economics at Maastricht University, Netherlands. While at Google, Eoghan has led client relationships across the government, telecoms and insurance sectors in the UK and Ireland while also spending time working with agencies in the US. 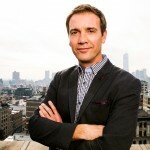 In his current role, he leads Google’s partnership with media and creative agencies in Ireland. Last year, he was listed on the Sunday Independent’s ‘top 30 people under 30 shaping Ireland’s future’, which was good timing since he no longer qualifies for that age bracket! Orla joined Fáilte Ireland in 2008 after working for over 10 years in the Telecommunications Industry. Failte Ireland’s digital vision is for an industry wide approach for Ireland that provides the tourism industry with the direction, leadership and resources needed to compete strongly in the digital environment. 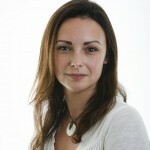 As Head of Digital, Orla has responsibility for the development & delivery of Failte Ireland’s Digital & IT strategy. Her goal is to significantly increase the online distribution and global visibility of Ireland’s tourism product. As Director of Dublin, Orla is responsible for thepromotion, drive, and development of Dublin’s tourism industry. Dublin receives over 4 million overseas visitors which generates €1.4 billion in revenue. In 2012 & 2013 Orla was also the project lead in a detailed review of the British, German & French markets and the subsequent development of a strategy for restoring growth. In addition this led to the development for the first time of a global segmentation for Tourism in Ireland. Throughout her career she has lead the development and implementation of aggressive marketing strategies to achieve growth. In this role, Hitesh manages direct and programmatic revenues across Sky’s online, mobile and video-on-demand platforms. 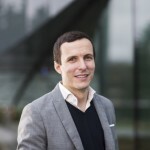 He is also responsible for devising the sales strategy across these platforms, and the business operations function, responsible for providing revenue and business insight to the wider Sky Media business. 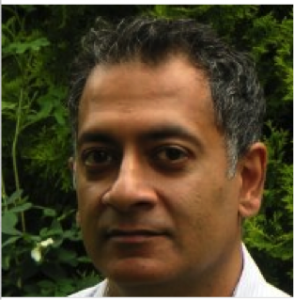 Prior to joining Sky, Hitesh has worked at a wide range of publisher and technology companies, from start-ups to major corporations such as Microsoft, Yahoo!, MTV and MediaMind. He started his media career as a media planner at advertising agencies, Lowe and Zenith Media. He lives in North London with his wife and 3 children, which pretty much takes up all of his spare time! Mark heads up Digital Marketing & Innovation at AIB, transforming how the financial sector use digital communications to best serve customers by delivering world class digital for the AIB & EBS brands. Mark has previously worked in Tribal DDB London, one of the largest and most award-winning digital agencies in the world. During his time with them, Mark worked on some of the most innovative, effective campaigns for global clients including Guinness, Volkswagen and Captain Morgan. In 2012, Mark established the Dublin arm of Tribal DDB which in a short space of time developed work for O2 Ireland and digitalising the Guinness Storehouse in Dublin. 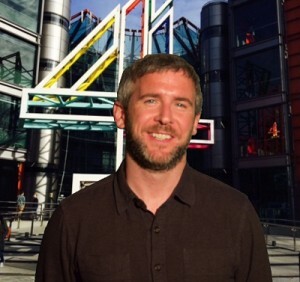 Michael has been a Digital Group Manager at Channel 4 for just over 3 years where he is responsible for growing Channel 4’s digital business and building out creative solutions. During his previous six years at Microsoft Advertising, he undertook the role of Group Account Director, strategically working with the planning communities of agencies and clients. Prior to his time at Microsoft, he worked offline for a year at JCDecaux and 3.5 in Emap Radio.